Nicole is an enthusiastic and energetic Realtor with a passion for residential real estate. 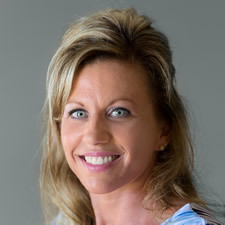 She has ten years of professional experience in communications and customer service. Nicole's background is in the fitness industry, where she marketed and operated a successful mobile-based training business. Her evolution into residential real estate sales was a natural one since she was very successful in helping people realize and accomplish their dreams and began to transition into the real estate industry in 2012. For Nicole, the most important and cherished part of real estate sales is the trust and rapport she establishes with her clients. Nicole Gilchrest was born and raised in Texas. She married her high school sweetheart at the age of eighteen and began her journey traveling the country as her husband served in the United States Military. Nicole and her family transferred to the Pensacola area 2008. Her husband has since retired and together they have started the second chapter of their lives in Pensacola, Florida. In her leisure time, Nicole enjoys spending time with her husband and son at the beach. She and her family often take part in the many social functions and festivals that take place here in the Pensacola and the surrounding area.